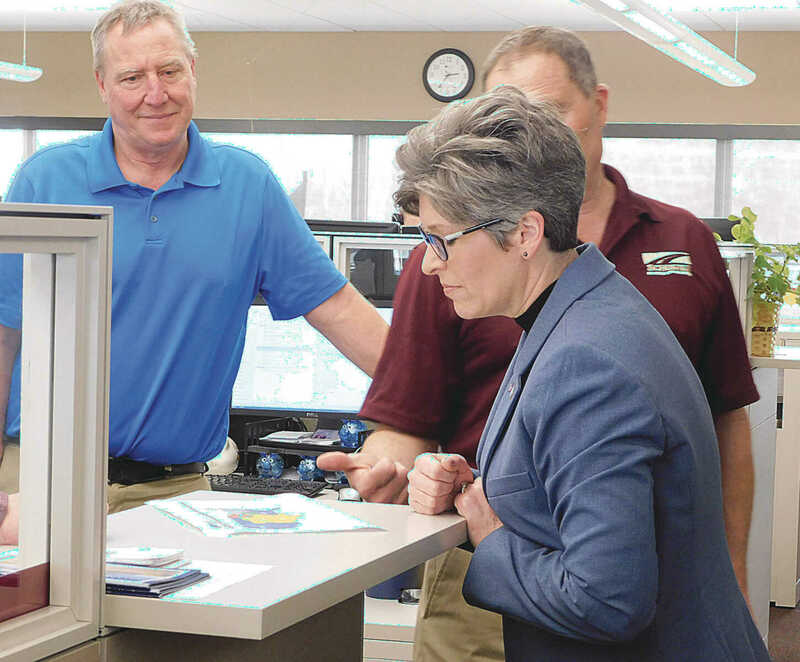 U.S. Sen. Joni Ernst brought her 99-county tour to Le Mars and Schuster Co. Tuesday afternoon. 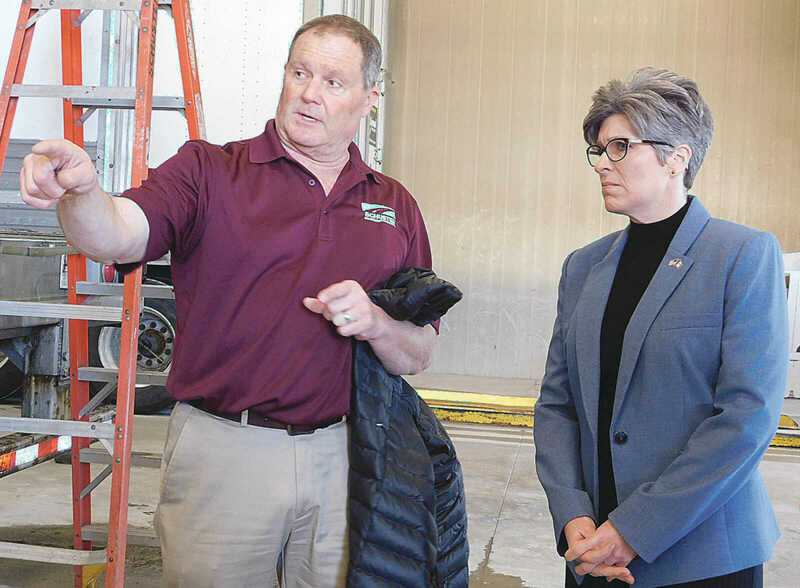 Owner Steve Schuster took Ernst on a tour of the company, showing a new tractor and explaining many of the safety features installed on each truck. The tour also included the shop area, and office departments. 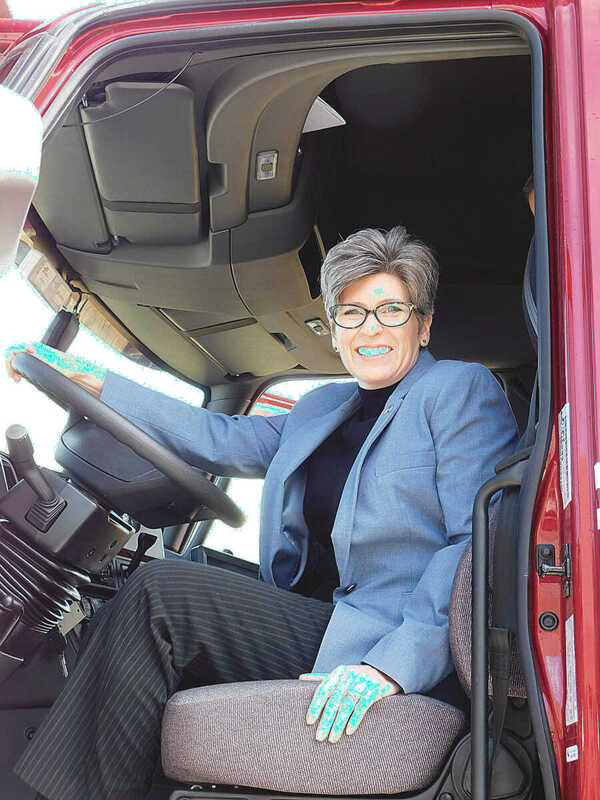 Ernst said she learned how high tech the trucking industry is, but no matter how high tech it is, the most valuable resource is still the drivers who go on the road each day. “They talked a lot about rules and regulations and how it’s really hard for some industries to adapt with the regulations in place,” Ernst said.